Italy, Guest Country of Honor of the 19th edition of CIFIT, exhibits its excellencies at the Italian Pavillion in the fields of aviation and aerospace technologies, healthcare, automotive, environmental protection, urban planning development, food & beverage and tourism. 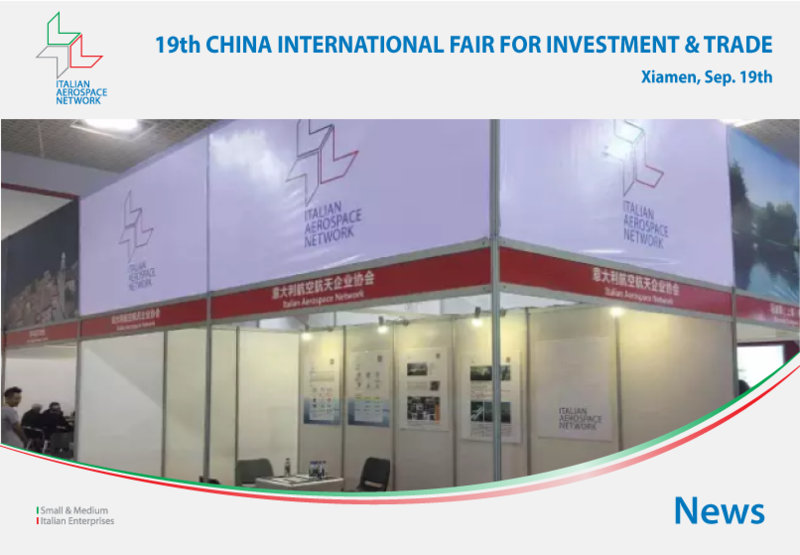 Among the joint activities coordinated by the Embassy of Italy, the Italian Trade Commission and the China-Italy Chamber of Commerce, IAN took active part into the Italy-China Investment and Trade Forum to present the cooperation programs in the field of aviation and aerospace between Italy and China. The Italian delegation, led by the Secretary of State to the Ministry of Economic Development Mr. Ivan Scalfarotto, was composed by over 100 entrepreneurs and managers working in the most important industries in China.